Zapier is a service for integrating different pieces of software; providing web applications a universal method of communicating with each other. This allows many manual tasks to be automated via a method other than direct API automation. The selection of Zapier enabled apps is already very large, with over 1,000 apps available as of this writing. Most of the popular CRM, HR, Mailing List and E-Commerce apps are available — meaning Axis LMS can now ‘talk to’ these apps. The communication between two applications are referred to as “Zaps!”, and are the Cause / Effect scenarios that are facilitated by Zapier. This means that you can now integrate your Axis LMS with 1,000+ web applications that would otherwise require a large amount of manual labor to accomplish. Axis LMS is capable of triggering other web apps through events such as users being created, courses being completed, and purchases being made. See how easy it is to start integrating with Zapier with these scenarios. 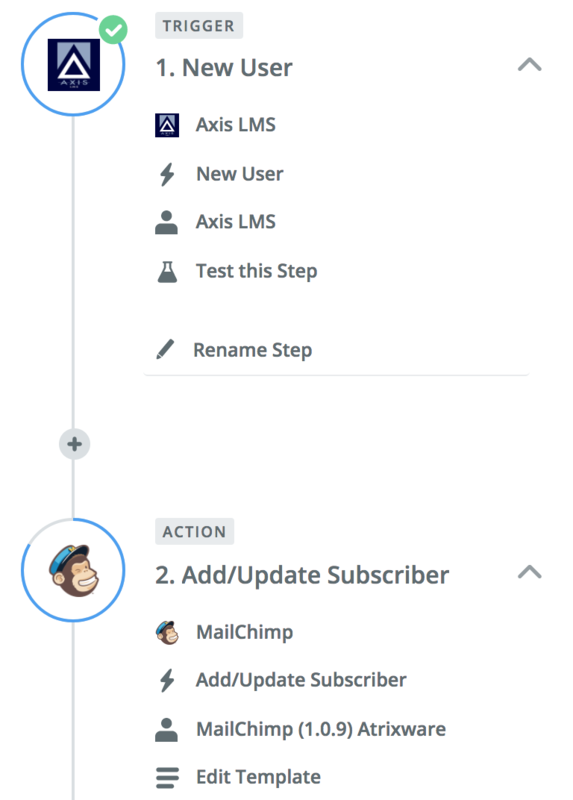 First, find out how a user being added into Axis LMS can create a cross-application effect in MailChimp. 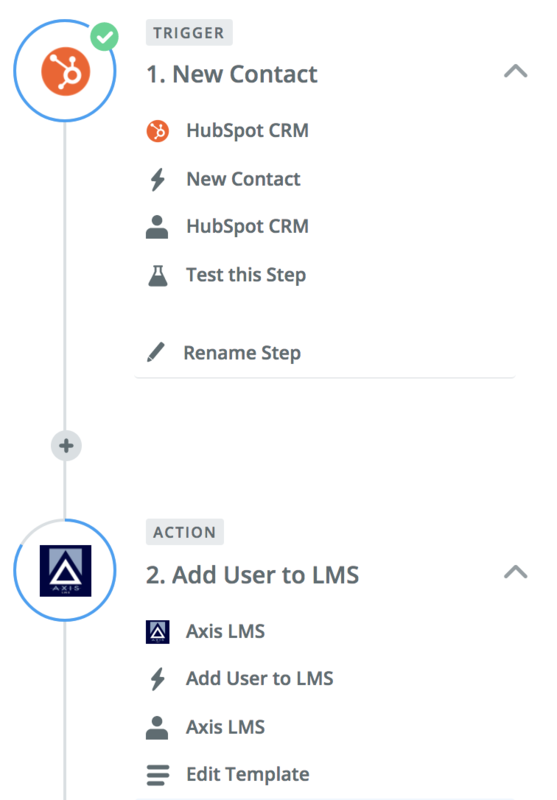 Then see how a new contact in HubSpot CRM can cause your Axis LMS System to create or update a user. If you would like to integrate Axis LMS with another application on Zapier, click here to make the Axis LMS app available to you inside Zapier (if you do not already have an account, you will be able to sign up for a free account). This entry was posted on Monday, April 2nd, 2018 at 12:47 pm	and is filed under ELearning 101. Responses are currently closed, but you can trackback from your own site.